The sample swatch card is for reference only. Colors may appear different when viewing on your computer screen. For best color description, please visit our showroom. Note: We stock most colors in 108" round. Additional sizes available upon request. Please contact our sales associates for more information. 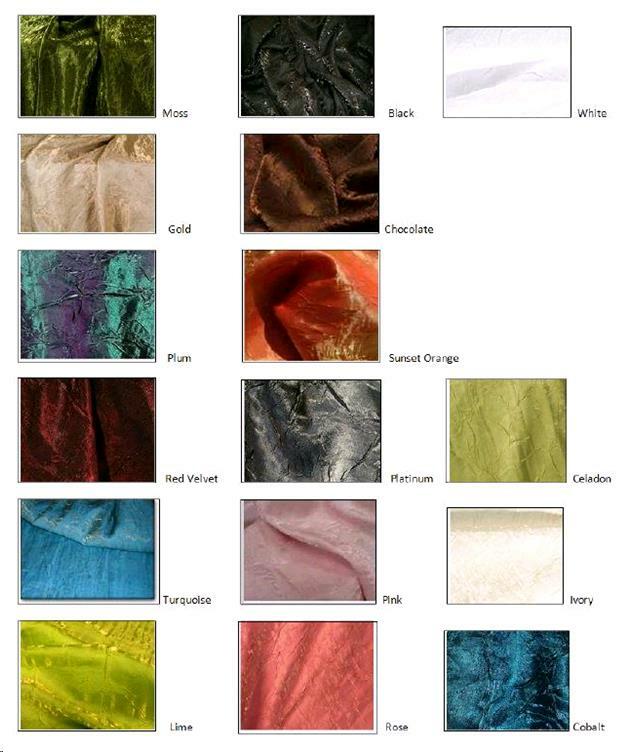 ** Please call us for any questions on our linen tablecloths iridescent crush rentals in Fairview Heights IL.